Album containing approx. forty-one albumen prints, approx. 8 x 10 in. or the reverse, many titled and dated on mounts or in the negatives, half brown leather, 11 x 14½ in. 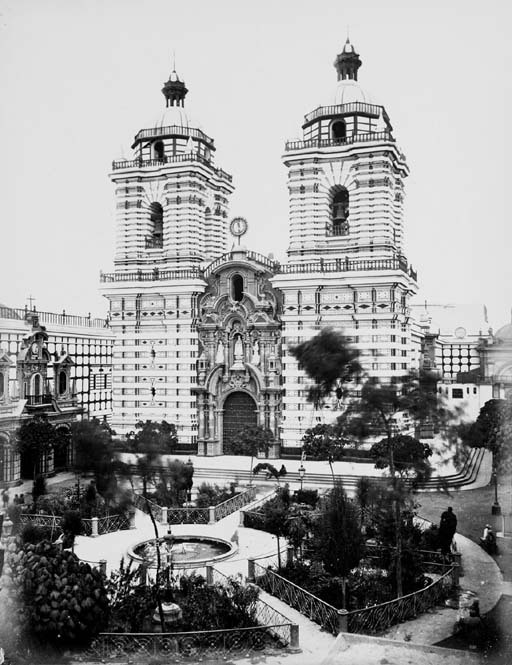 Good views of Lima, including the main city square and various churches including the Church of San Francisco.